Friday, May 11, 2018, 12:30 – 1:30 p.m. 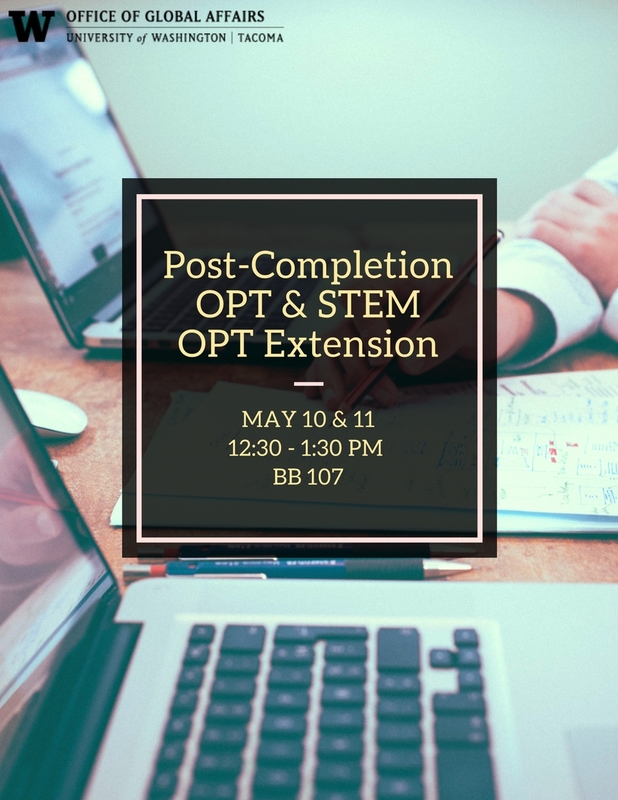 Learn about the post-completion OPT and STEM Extension OPT processes. This session is for international students on F-1 visas who are interested in OPT benefits.